DJI Mavic Air vs Spark: Which is the Best Small DJI Drone? The new Mavic Air is an excellent compact quadcopter, but how does it compare to the DJI Spark? There is a lot to like about the Mavic Air, but might the lower cost Spark be the better option for you? Now that DJI makes two small compact quadcopters it is important to understand the differences. We will explain them in detail so you can choose which one is best for you. The Mavic Pro is the largest of the portable DJI drones. If you would rather watch and listen than read then check out our video. Let’s take a quick look at how they stack up. We’ll even throw in the Mavic Pro and the Phantom 4 Pro for you to compare. Not everyone is into reading bar graphs, but this is the best visual aid we could think of to pack a bunch of specs in a single image. Basically, as you move from the least expensive Spark to the 4X more expensive Phantom 4 Pro everything gets bigger and better (including the size, weight, and price tag). The Spark is the lightest of the DJI drones. Keep in mind the speed values can be a bit deceptive. What matters more than max speed is the speed in the normal flight mode. The Spark is very slow normally, DJI doesn’t even publish what the speed is, but it is probably about 10 mph. In our opinion, the slow speed of the Spark in normal flight mode is the most limiting capability of the Spark. If you are not into graphs, skip to the next section. Both of these quadcopters have excellent cameras, but the Mavic Air is capable of capturing 4K footage at 30 fps. The Air also boasts a 3-axis gimbal and can shoot 12MP HDR photos. That is quite impressive considering its small form factor. If you like data, check out the second graph that focuses on the cameras these drones carry. When it comes to the cameras the Mavic Air clearly outperforms the Spark. That said, for many people, 1080 full HD resolution is just fine. Some folks are also not interested in fast frame rates, which fill up memory fast. Shooting 4K at 60 fps (frames per second) will eat up about 8 times as much memory as shooting in 1080 at 30 fps. When the Spark was released DJI they announced the inclusion of some new flight modes. There were some bugs initially, but now the Spark’s Circle, Donie, Rocket, and Helix modes are popular ways of capturing easy and smooth short clips. The Mavic Air includes two amazing new quick shots – the Astroid and the Boomerang. We are really excited about these, they look awesome. Check out the release video below, it starts 25 minutes into the presentation when they demo these new modes. We have the Spark on the Mavic Air on the Mavic Pro. If you kept watching you also learned that the Mavic Air has more advanced gesture controls and obstacle avoidance than the Spark. The Mavic Air has front, rear, and bottom sensors to help keep the drone both safe and stable. The Spark only has front and bottom obstacle avoidance sensors. The Mavic Air also is the first drone from DJI to include 8 GB of built-in memory and the first to feature a more compact remote with stowable sticks. Take a look at the bottom sensors on the Spark, Air and Pro. Let’s also not forget the intimidation factor. We have found that people are just not afraid of the Spark like they are with larger drones. Some people hide their kids when they see a drone coming or get annoyed with the noise. The Spark is the quietest and least intimidating of the DJI drones (except for the Tello). When considering which drone to choose, it might just come down to price. The Spark starts at $399 where the Mavic Air will start at $799. 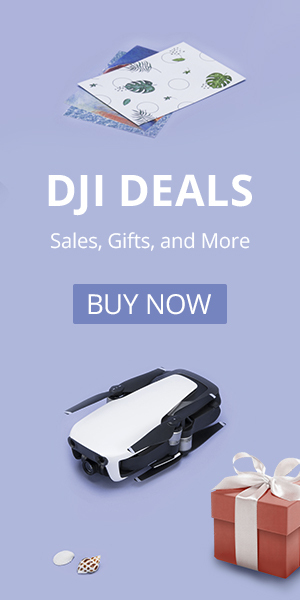 Four hundred dollars is already a lot of money, and if you are new to drones the Spark will most likely do everything you need. However, if you are able to afford the Mavic Air, it is a more advanced quadcopter and for sure is the hottest consumer drone of 2018 (your friend who already owns a Mavic Pro will be jealous, we promise). Which Compact Drone is Best for You? In the end, you’ll have to decide which drone you think best suits your needs. Is it the smaller compact DJI Spark, or is it the new Mavic Air? Luckily for you, there really isn’t a wrong decision. They are both fantastic drones. 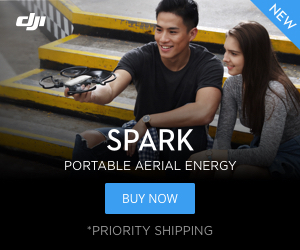 As for us, we are likely selling our Spark since our Mavic Air is arriving any day now. We just couldn’t help but splurge on the highly capable Mavic Air. The DJI Spark is still an awesome drone and at $399 is half the price of the Mavic Air. Is the Spark out of your price range? We suggest you wait for the DJI Tello. The Tello has more capability packed into a small package than any drone under $100. Learn more about the Tello on our dedicated page or watch the video below.